9/19/2016 – Among the many brilliant performances turned in at the Baku Olympiad was Vladimir Kramnik's gold medal performance on board two, and taking him to 2817 Elo and world no.2. 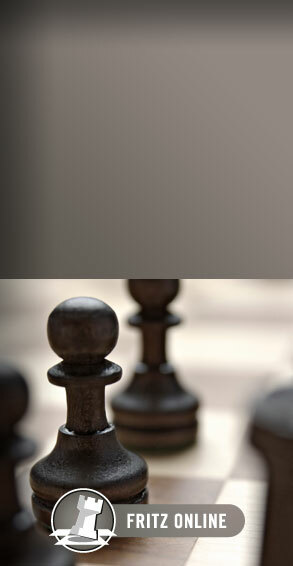 While everyone appreciates his brilliance, understanding the games and moves of such a deep player often requires the help of a grandmaster who can shed light on seemingly baffling choices. 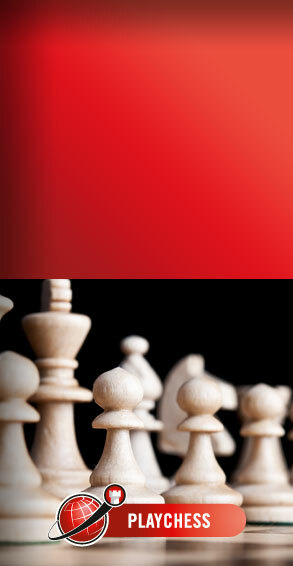 Providing just that is GM Elshan Moradiabadi who shares his insights in this wonderful class on strategy. 9/17/2016 – An event such as the Baku Olympiad will generate enormous interest, great games, and historic moments, but have you ever wondered what it was like from an insider's point of view. We don't mean from the perspective of an on-site reporter, but rather one who had to make the tough decisions each and every day: the captain! What follows is an article by Manuel Weeks, the captain of the Australian team, as he dealt with the decisions and worries that might decide his team's fate. 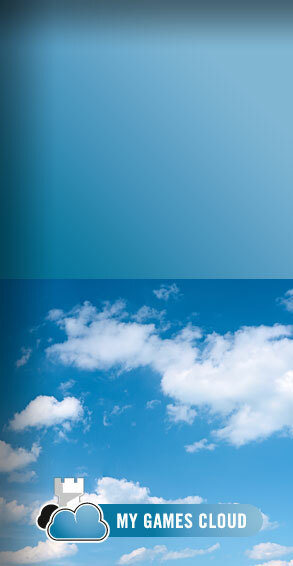 A fascinating account with games and quizzes. 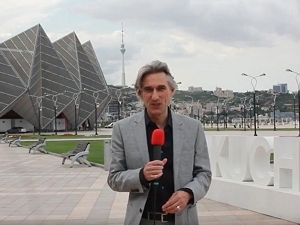 9/15/2016 – Before the Olympiad in Baku began on 1st September, ChessBase invited its readers to answer three questions to predict which team would win the open, which team would win the Women's Section and who would win gold for the best result on board one in the Open. Hundreds of readers replied but no one had the right answer to all three questions. As so often, it was Baadur Jobava who surprised everyone. 9/14/2016 – After the US team had won the Olympiad in Baku on tie-break Hikaru Nakamura congratulated German Grandmaster Matthias Blübaum via twitter for "the win of the tournament" and thanked "Germany" for helping the USA to win gold. Blübaum, indeed, had played the game that was crucial for the, as Daniel King put it in his video report about the last round, "arcane" tie-break system, and decided the Olympiad in favor of the USA. But why exactly? 9/14/2016 – As one of England's top players Jon Speelman played in many Olympiads, in Baku he was captain of England's women's team. Of course, the many games played in the Olympiad offer a wealth of material for Speelman's "Agony/Ecstasy Column". 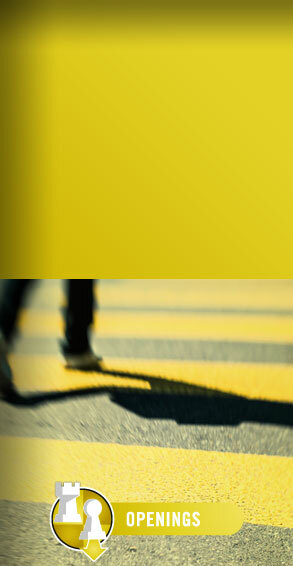 But for now he focuses on his compatriots and presents adventures and misadventures of the English teams in Baku. 9/14/2016 – The win by the US at 2016 Baku, in the largest field ever, can only be described as historic. Ukraine held on to their pace and took silver, while Russia took bronze. Board one gold medal went to Baadur Jobava, and take note of board three bronze medal by 64-year-old Eugenio Torre! The Women's event saw China overcome Russia in an epic match, the first team gold for Hou Yifan, and denying Russia any medal. Poland took silver for their greatest result in Olympiads ever, while Ukraine took bronze. Huge report with videos and GM analysis. 9/13/2016 – There is a reason why Daniel King is one of the most popular chess commentators in the world. If you want to know why, just have a look at his video report of round ten in Baku. 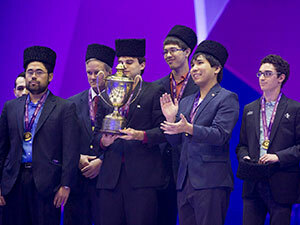 It was a crucial round in which the teams tried to position themselves for the last and decisive round. Daniel King shows the highlights of round ten and once again manages to catch the Olympic flair in Baku. 9/13/2016 – Chessplayers from all over the world meet at the Chess Olympiad in Baku, super grandmasters and professionals, amateurs and casual players. 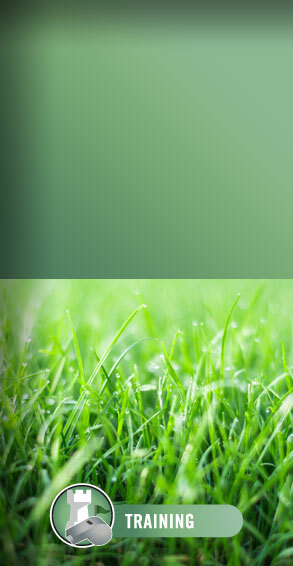 This creates a unique atmosphere and lots of chances for a little chat. 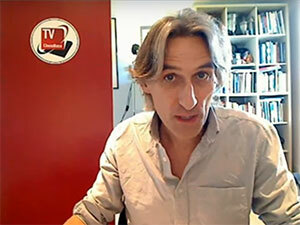 Which the ChessBase team in Baku likes to use for interviews with a variety of players. 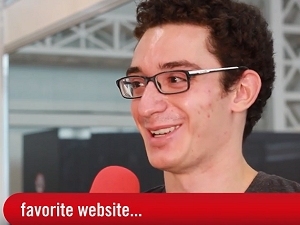 Fabiano Caruana and Robert Hess were both ready to answer a barrage of questions in 99 seconds. 9/13/2016 – The penultimate round saw few changes if any in the leaderboards. The USA played Georgia and won, with the only hiccup being Nakamura's loss to Mchedlishvili. Ukraine also defeated the Czech, while their Volokitin soars at a 2994 performance. Russia only drew India, though they still remain clear third. Remarkably, Canada is in 4th place on tiebreak. The Women's saw China barely overcome Poland, while Ukraine drew India. Russia won against Georgia and will face China for the gold. Large illustrated report with videos and GM analysis. 9/12/2016 – Once more it was a great round, chock full of exciting matches and dramatic games. 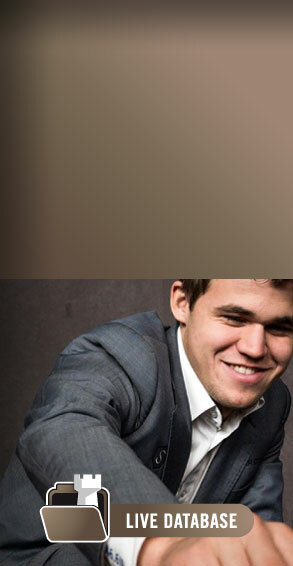 The US against Norway match held the spotlight, if only because of the top-board encounter between Magnus Carlsen and Fabiano Caruana, though the Americans won 3-1. 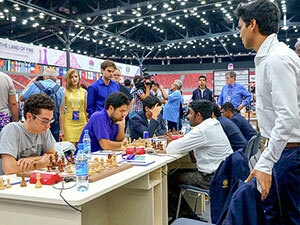 The Ukraine defeated India to join the lead, while Russia thumped Azerbaijan. The surprise of the day was Iran's youthful team tied with England. In the Women's event, the Chinese beat the US to take sole lead. 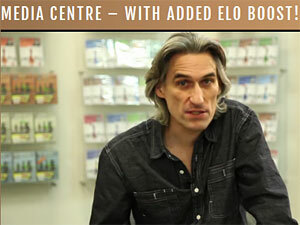 Full report with photos, videos, and analysis by GM Fabiano Caruana! 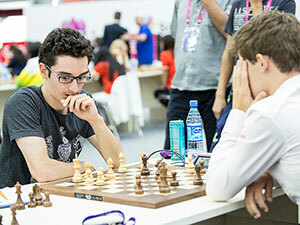 9/11/2016 – In the swarm of games and players at the Baku Olympiad, the Georgian player Baadur Jobava has stood out by now as an outright favorite for the Board One gold medal. His performance has been one of superlatives to say the least, combining technical play and imaginative attacking. 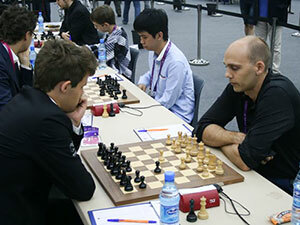 In round eight he defeated the extremely solid and experienced Ruslan Ponomariov from Ukraine in a astonishing 21 moves. This was not the result of a blundered piece or rook, it was the result of a lightning sacrificial attack. 9/11/2016 – They were without a doubt the matches on everyone's mind. In both the Open and the Women's events, Russia faced the USA, and the promise of thrilling top-notch fights did not disappoint. In the Open section, the USA came within a whisker of defeating the top-rated Russian team, with a key win by Welsey So over Nepomniachtchi, balanced by a tragic last-minute blunder by Ray Robson against Grischuk. As to the Women, the Americans beat Russia after a big win by Krush over Kosteniuk. 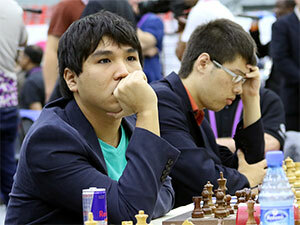 Full report with analysis by GM Wesley So and more! 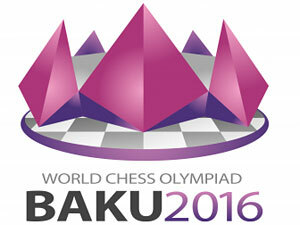 9/10/2016 – The action at the Baku Olympiad has been intense, and there have been more games than is possible to cover, share, or analyze. GM Daniel King, author of the incredibly popular PowerPlay series, casts his professional eye on a few games of rounds six and seven. In round six he focuses on the Women's match between RUssia and Ukraine, with some of the strongest players giving it their all. In round seven, he has arrived in Baku and starts with some initial impressions and analyzes in depth the wild game Li Chao vs Nigel Short. 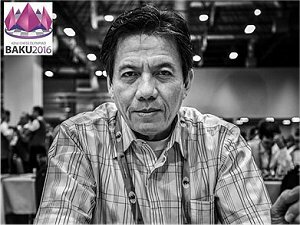 9/10/2016 – Eugenio Torre from the Philippines, Asia's first grandmaster, is a phenomenon. 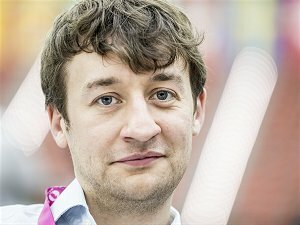 In Baku he plays his 23rd Olympiad, more than any other player in chess history. Torre, who once qualified for the Candidate Matches and at his peak was number 17 in the world, gave his olympic debut in Siegen 1970 and since then has won three bronze medals for his results on board one. He is 64 years old, but still very strong. In Baku he plays on board three for the Philippines and started with 6.0/7 and an Elo-performance of 2712. A short tribute. 9/10/2016 – The Ukrainian team seems to be in good shape at the Olympiad in Baku. They beat Russia and China and only lost to the USA. After seven rounds they have 12 from 14 possible team points and share second to seventh place, and are only one point behind the leading US team. 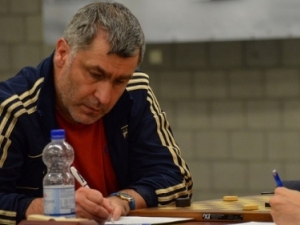 However, one prominent player is missing in the line-up of the Ukrainians: Vassily Ivanchuk. 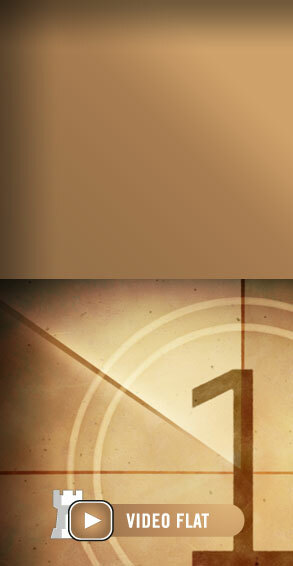 Where is the Ukrainian top player? 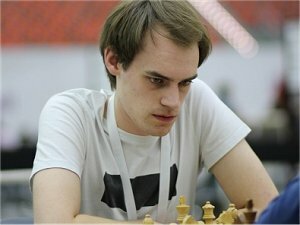 Well, he is playing an open in Poland - a draughts tournament. 9/10/2016 – What an astonishing round it was! It literally saw all the previous leaders suffer setbacks. The biggest headline was without question the crushing victory of Team USA over India by 3.5-0.5. But this was not the only eye-opener. Previous co-leaders Netherlands lost badly to Latvia 3-1 and China, ranked third, lost 3-1 to England. Russia's 3.5-0.5 win over the Czechs sets up a double-date with the USA. In the Women's event, Russia was held to a draw by Poland, while China beat Ukraine. Full report, results and GM analysis. 2016 Baku Rd6: India takes sole lead in Open! 9/9/2016 – With the field at the top winnowed down to a handful the matches of the day were of paramount importance. The big match between Holland and India was epic: The Dutch started strong on all boards, but the Indians rallied and emerged victorious. The Ukrainians, who had shared the lead, faced Team USA, and it was Caruana's victory over Eljanov that decided their fate. The Women's event was no less dramatic as the Ukrainians squandered a sure win to draw with Russia, while China was held to a draw by Romania. 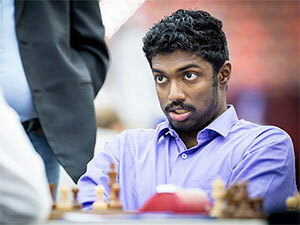 Here is the report with instructive notes by GM Elshan Moradiabadi. 9/7/2016 – Maybe on day six of the Olympiad the players have firmly settled in and feel more and more inspired by the Olympic spirit, or they decided to try particularly hard before the free day after round five, or they were looking forward to the legendary Bermuda Party that invited players on Tuesday evening - but whatever the reason, round five in Baku brought many brilliancies. Daniel King presents three of them.